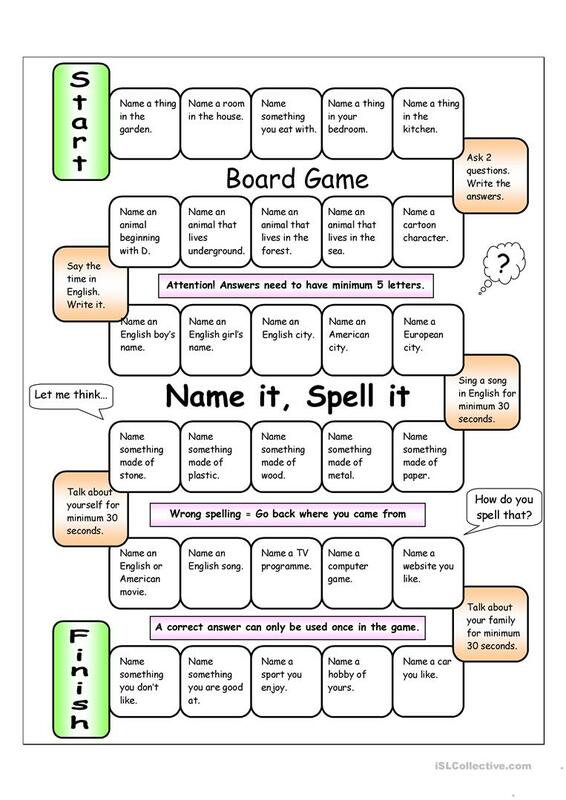 With the easy board game, beginners and elementary learners will practise vocabulary and spelling in an enjoyable way. The questions can be adapted to make it more challenging should it prove too easy. Let´s make learning fun! (For higher learners, you can ask students to name 2 or 3 answer instead of just one). Could also be used as the basis of a spelling bee. The present downloadable handout is best suited for high school students, elementary school students and adults at Beginner (pre-A1), Elementary (A1) and Pre-intermediate (A2) level. It was designed for strengthening your pupils' Listening, Spelling and Speaking skills. The key is provided, too.